Right from the start you show a freshness of vision that leaves no doubt about the pleasure you had in seeing nature, and one sees that she really spoke to you directly. French landscape painting in the 19th century found its truest champion in Théodore Rousseau. Unlike most of his contemporaries, Rousseau never made the requisite visit to Italy to complete his training as a plein-air painter, but instead sought inspiration in his native countryside. Rousseau is often referred to as a Barbizon painter, having established a studio there in 1848 and painting in the region until his death in 1867. But his overall output captured various other locations too, including the outskirts of Paris, the Auvergne, Normandy, Vendée and Berry, the Franche-Comté and the Swiss Alps. He was diligent in his process that required a careful study of every aspect of nature that these various sites offered; the trees, the rocks, the waterfalls, the valleys and the plains were his models. Human figures rarely appeared in this work. He was a natural draftsman and worked in every medium – graphite, chalk, pastel, watercolor, pen and ink, wash and oil. While many of his drawings were preparatory for paintings, just as many were intended as final works in their own right. He worked outdoors in the purest sense of a plein-air painter, loading his knapsack with small mahogany panels or carrying a sketch book. Of course, he also spent time in his studio working on his tableaux, or finished paintings. Rousseau’s style and technique were wide-ranging and various, almost as if he were many different painters instead of just one. The unifying factor of his work was his heartfelt feeling for nature, the “muse” who inspired him throughout his lifetime. 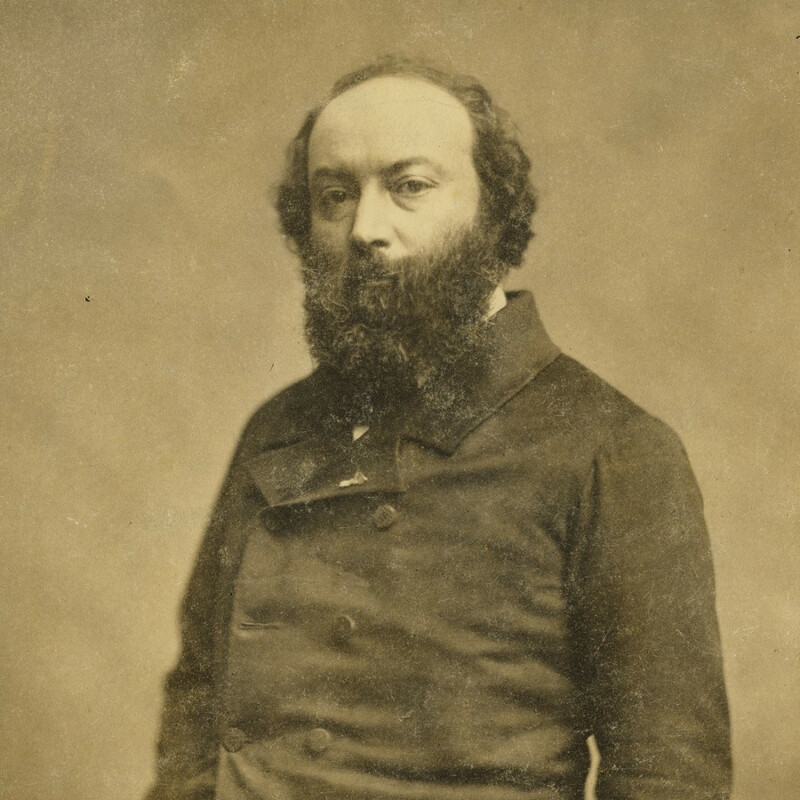 His fellow artist and friend, Jean François Millet expressed it best after seeing a small exhibition of Rousseau’s Auvergne studies in Paris in 1867. He wrote to Rousseau, “Right from the start you show a freshness of vision that leaves no doubt about the pleasure you had in seeing nature, and one sees that she really spoke to you directly.” (Alfred Sensier, La vie et l’oeuvre de Jean-François Millet, Paris, 1881, pp. 305-6).